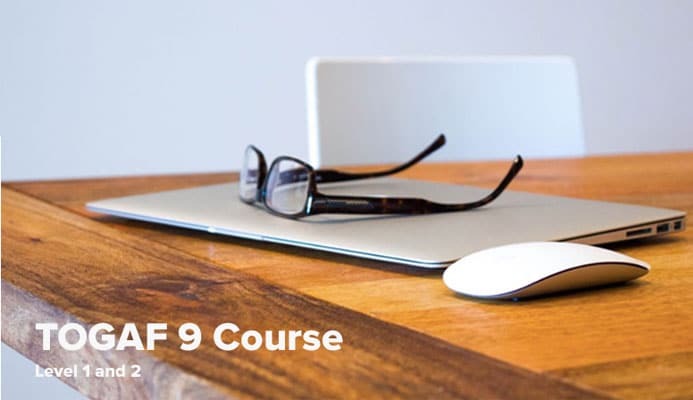 The ATE Enterprises TOGAF® Standard Training Products introduce all of the topics you will need to cover in order to use the latest TOGAF® Standard, Version 9.2 in your organisation and to prepare to take The Open Group’s examination(s). This course is for Level 1 and 2 certification. The latest version of the TOGAF® Standard features significant enhancements to key capabilities of the architecture framework. This includes new materials that show in detail how the Architecture Development Method (ADM) can be applied to specific situations, such as Security Architecture plus additions to the Business Architecture domain and changes as a result of ISO/IEC/IEEE42012:2011 and the impact of these to the TOGAF® Standard. The TOGAF® Standard 9 Practitioners course is taught at Level 1 and Level 1 & 2. Our TOGAF® Standard training course will help you prepare to take The Open Group’s examination(s) at the level that you select. This course is an Open Group Accredited TOGAF® Standard Training Course and TOGAF® Standard exam vouchers and preparation pack are part of the course. As part of the TOGAF® standard Level 1 and 2 course, we issue the combined voucher as standard, meaning you will take Level 2 directly after the Level 1 exam, if you wish to take them separately please mention this to our booking team. Whilst you await your exam you can revise using our online learning portal and when you are ready you can take our practice exam to test your performance. You have 1 hour and 30 minutes to complete the exam. Additional time may be provided for people taking an English language exam if English is not their first language. A candidate’s country of residence, nationality, and the country in which they would like to take the exam are used in determining eligibility for additional time. The additional time allowance is 30 minutes for a Part 1, Part 2, or Bridge exam and 30 minutes for each part of a Combined exam, for a total of 60 additional minutes. Candidates who reside in and are taking an English language exam in a country designated as an ESL country are eligible for extra time to complete the exam. If you are registered for a single part exam, the additional time will automatically be added on and reflected on your Order Summary when you complete your registration. For a Combined Part 1 and Part 2 exam, you must select the ESL specific exam (OG0-093-ESL, OG0-023-ESL) in order to be granted additional time.